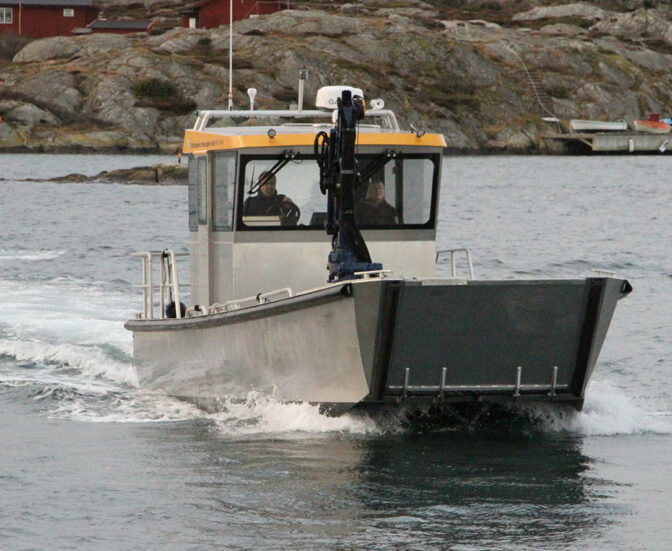 A robust waterjet driven work boat designed for commercial use. The boat is equipped with a crane, has a reinforced keel and bow ramp allowing for loading and unloading from the beach. 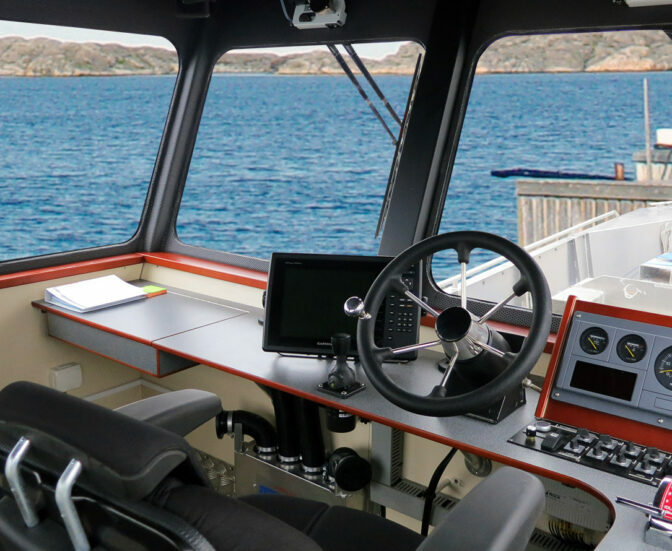 Typical usage is for towing, taxi, support, cargo, fish farming, diving, rescue operation and oil recovery.